For those staying home Thursday evening, this year’s Thanksgiving TV dinner will feature the University of Hawai’i men’s basketball team on center stage vs. Utah at 6:30 p.m. (Hawai’i Time) before a national ESPN2 audience at Cal State Fullerton’s Titan Gym, in the feature game of the John Wooden Legacy Classic opening round. The Warriors, who improved to 3-1 after Sunday’s 85-68 home victory over Northern Arizona, are also joined by Grand Canyon, Seton Hall, Fresno State, Northwestern, Miami (Fla.) and La Salle in the eight-team, three-day invitational tournament. 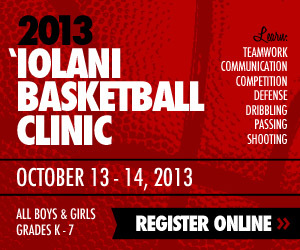 Thursday’s Hawai’i game, as well as Friday’s and Sunday’s, will also be broadcast live via radio on ESPN1420AM. Junior guard Eddie Stansberry said after Sunday’s victory that he and his teammates are ready to hit the road after opening the season with four home games. 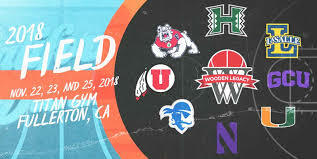 The tournament, named for legendary former UCLA coach John Wooden, represents UH’s first Mainland three-game regular season tournament since the Gulf Coast Showcase in Florida in 2014, a year before Ganot took over the program. 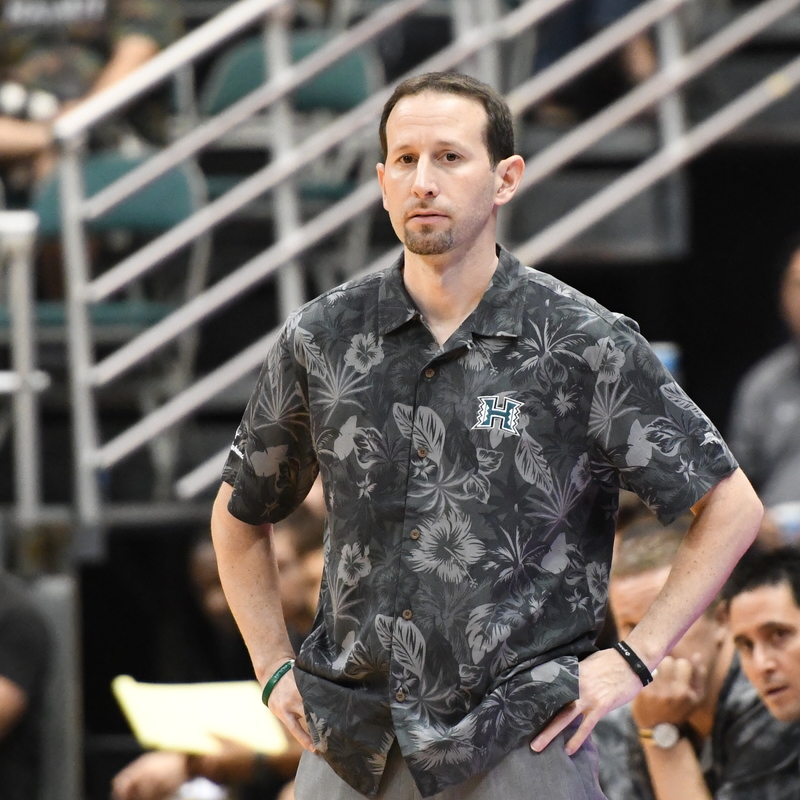 While appreciative of the invitation, Ganot said he and his staff must carefully manage the team’s preparation and participation. “It’s a balance, because it’s great on one side, but it’s (also) tough,” Ganot said. “(It’s) the opportunity to play the game you love, on this special day, I don’t know how often teams have played on Thanksgiving Day and Christmas Day in the same season. It can be tough, obviously, at times. But the good thing is you get to do something you love, with people you love, and represent a program you love … With the Wooden, we have a strong Southern California contingency with guys in our program, and we’ve always had a good fan base for those games in Southern Cal in (the Big West Conference). Following Sunday’s tournament finale, the Warriors will remain in the area and begin preparation for a Nov. 28 non-conference game at No. 17-ranked UCLA. Wooden, who died in 2010 at age 99, was known as the “Wizard of Westwood” and is regarded by many as the greatest college basketball coach of all time. His UCLA teams won a record 10 NCAA championships between 1964 and 1975, posted a record 88-game winning streak from 1971 to 1974, and he retired after the 1975 title season with 664 career victories and an overall winning percentage of .804. 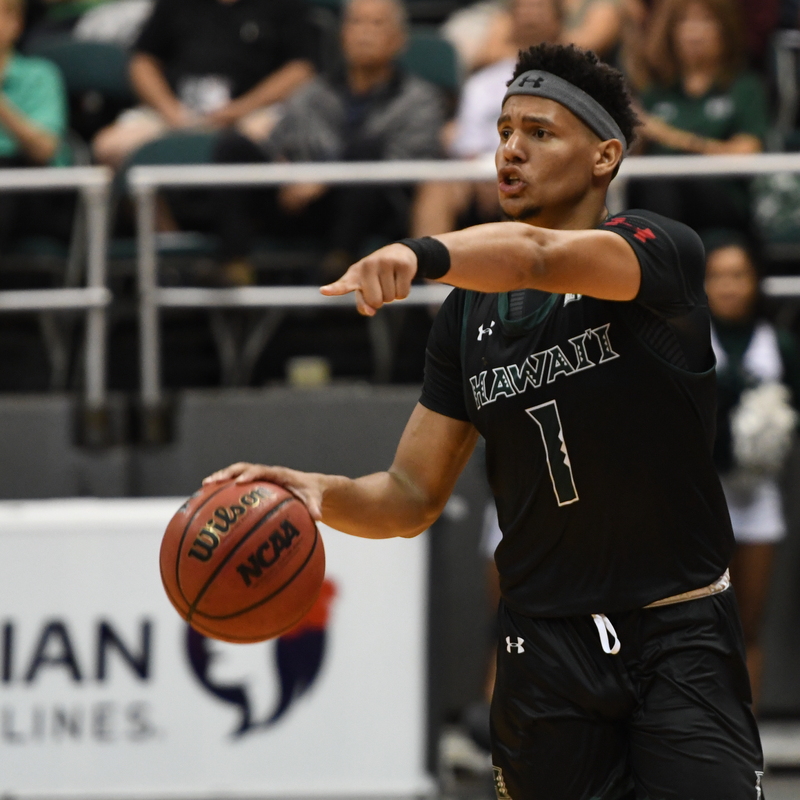 La Salle vs. Miami, 9:30 a.m.
Northwestern vs. Fresno State, 11:30 a.m.
Seton Hall vs. Grand Canyon, 4:00 p.m.
Hawai’i vs. Utah, 6:30 p.m.
*Fifth place game, 9:00 a.m.
*Seventh place game, 3:00 p.m.
Noteworthy results: Three wins all at home; rallied from first half deficit to beat Bethune Cookman 78-70 on Saturday. This team still seems to be in its infant stages, as far as maturing and meshing as a team….hopefully they will be ready by conference play. I think the potential is there but it’s a quick turnaround! Let’s GO BOWS!